Breakfast is, without a doubt, one of my favourite meals of the day. The reason? It’s totally ok to have sweet and savoury items one after the other, and you can happily have at least two or three different plates. Turning breakfast it into a whole morning sliding into the afternoon activity called brunch is genius. I’m in. 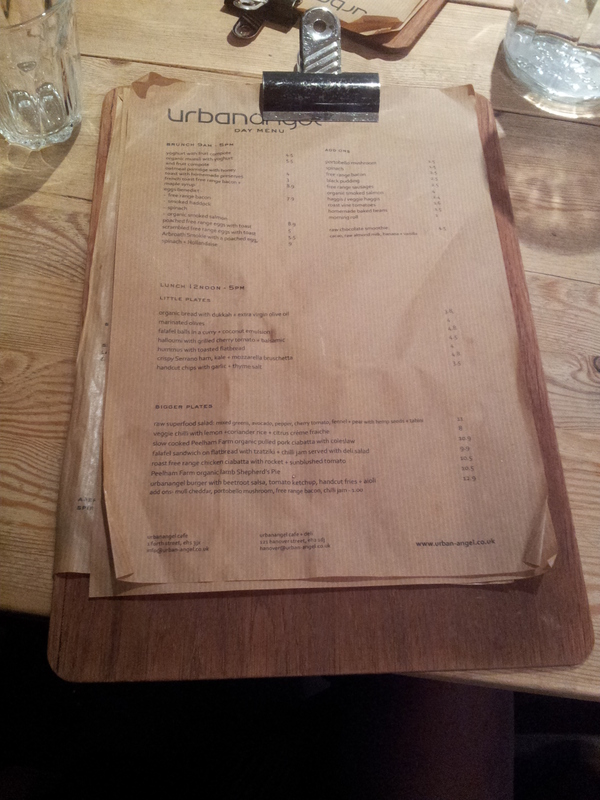 Edinburgh has lots of great places to brunch and Urban Angel on Hanover Street is one of my favourites. It’s always mobbed at the weekends, but if you are happy to wait at the seating area by the entrance, you can usually nab a table in no more than 15minutes. Luckily today we strolled right in. 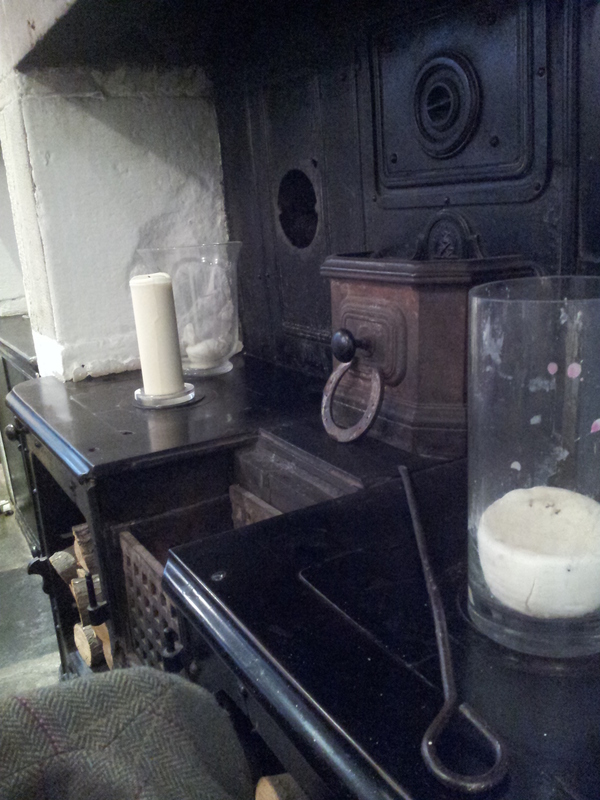 The lay-out is cosy and the cafe has a country kitchen feel. Lots of chunky wood panelling. Two rooms feed off the central corridor. In both there are enough tables for the place to be full and buzzing but not squashed, i.e. you feel like you are brunching with your chosen companion, not the table next to you as well! The brunch menu runs 9am-5pm and has all the usual suspects on it. Everything from granola and yoghurt to eggs (almost any way you want) and breakfast rolls. For me, brunch is either French toast with bacon and maple syrup or eggs, and today I chose the latter. Eggs Benedict with crispy bacon. The hollandaise sauce was sharp and tangy and in my eyes went perfectly with the saltiness of the bacon. The eggs were cooked to perfection, runny in the middle, and served on two lightly toasted muffins. 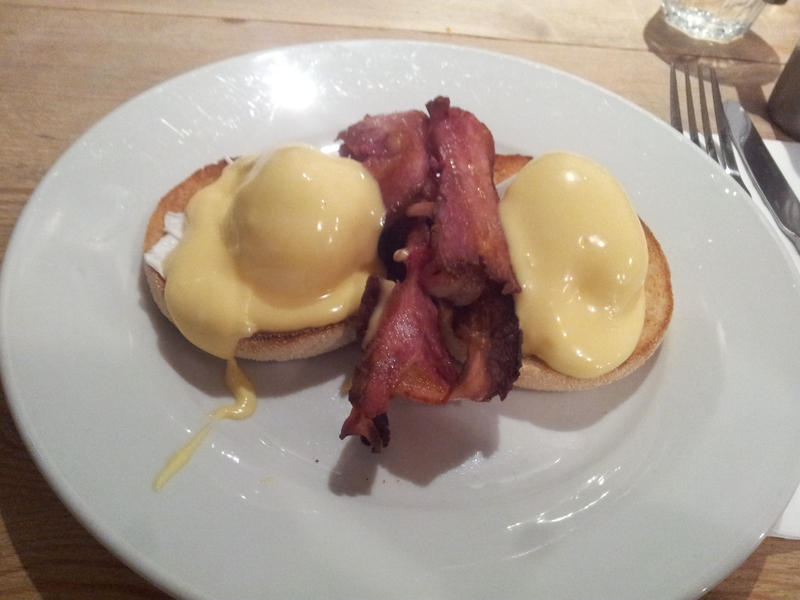 Urban Angel’s eggs benedict with crispy bacon – yum! 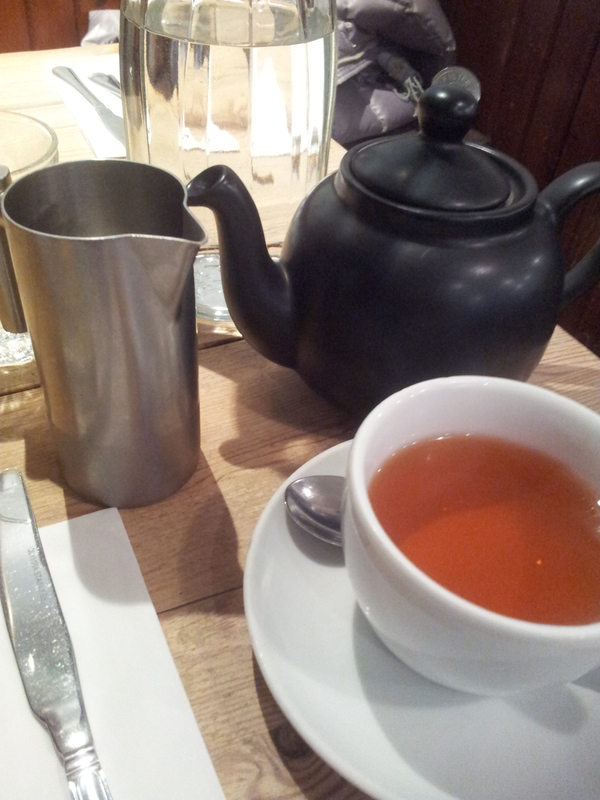 Along with my eggs I ordered a pot of earl grey tea. I am too lazy at home to tea leaves so I always really enjoy a proper pot of tea. 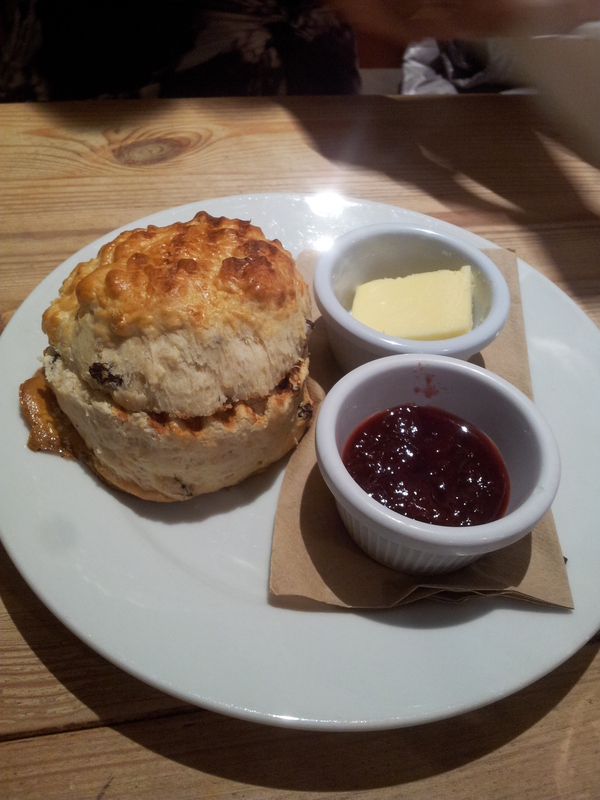 My Mum (the aforementioned companion) enjoyed an absolutely enormous fruit scone which, I can verify from tasting, was also delicious. In my eyes brunch should never take less than 1 and a half hours, maybe even 2! Today we chatted and brunched for the best part of two hours, completely unaware of the time, and not once were we asked to move on. For somewhere so busy that’s got to be great customer service, especially on a Saturday. So if you are reading this on Saturday I seriously recommend heading for a lazy Sunday brunch tomorrow. I know I’ll be back… is twice in one weekend too much? !